How to pick the right serving plate for the double chocolate fudge ice cream? : The best answer may be selected as with the white bowl or with the white plate. Same effect is still valid for Cambria Canterbury Countertop with White Cabinets. Cambria Canterbury is an easygoing-engineered stone. Cambria Canterbury White Cabinets Backsplash Ideas is an excellent solution for kitchen remodeling. She makes a valuable match with white cabinets and natural color backsplashes. 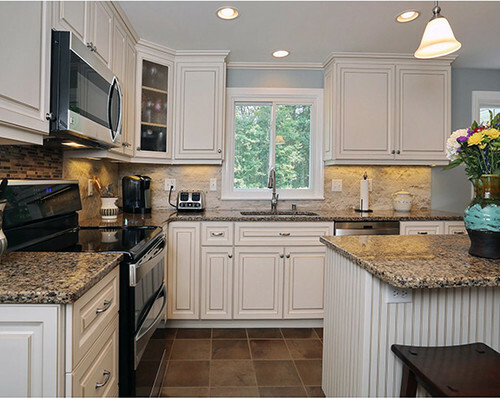 The beauty of the granite looking quartz stone pops up with white cabinets if the correct backsplash is chosen. By having her, the magic wand touches to your kitchen remodeling ideas. My followers are being very familiar to share first the material and the characteristics of the backsplash then, the color and stain of the white cabinets will be defined under each picture. Double Chocolate Fudge Ice cream: Cambria Canterbury Countertops article brings some different ideas for your imagination like having Cambria Canterbury as a full high backsplash. The backsplash colors for Cambria Canterbury White Cabinets Backsplash Ideas can be white, beige, natural tones. Since it has some caramelized crystal in the swirl of dark tones, the copper and bronze tone liners or connectors are used in the backsplash. The material for the backsplash can be ceramic, travertine, lime stone and natural slate.The novelty is Corian Backsplash in these days. The type of the backsplash tile would be subway, square and mosaic. The backsplash set up can be used as diagonal or horizontal. I would love to show the beauty of the Cambria Canterbury White Cabinet Backsplash Ideas by sharing the meticulously picked pictures. Picture Credit: The Cabinet Store, Cambria Canterbury overhang island top and countertop embellish this transitional kitchen. Pendleton Soft Cream Cabinets, white subway ceramic backsplash, stainless steel appliance and stainless steel kitchen pendant are good match for the red oak flooring. The natural kitchen light reflects on the countertop and island top surface. Realistic and ergonomic kitchen design. Picture Credit: Oakville Kitchen and Bath Designers via Houzz., Cambria Canterbury with Oatmeal Paint maple cabinets, custom wood vent hood and honed filled travertine with strip pattern backsplash (it looks like the Honed Cubics Cambria Sticks by Anatolia). Hardwood floor brings enough contrast to make a visual impress. Cozy feelings are in the air. Picture Credit: Kitchen Magic., Walnut Glazed Antique White cabinets and combined Cambria Canterbury quartz countertop and island top. Traditional kitchen has a new look with the well selected design elements. Earth color floor tiles ( I will share the name soon ) and the Corian backsplash in Sandalwood with an Offset Diamond pattern are both set up in beautiful way. The matchstick backsplash behind the stove stands just right to complete the puzzle. Very inspirational design. Picture Credit:Robinwood Kitchens., I know. this picture does not represent entirely the Cambria Canterbury White Cabinets Backsplash Ideas but I love the color combinations of the two tone cabinets. Travertine backsplash with glass matchstick liners and copper inserts , Cherry cabinets with frosty white and mocha glaze are one of the best couple for kitchen remodeling ideas. Lovely set up. ( As soon as I have the name of the dark cabinets I will share with you). Keen eyes , neat design. Please do not hesitate to drop a comment about Cambria Canterbury White Cabinets Backsplash Ideas. Thank you for your time.